Имате въпрос към My Friends Guest House? При посещение в Малака, в My Friends Guest House ще се почувствате като у дома си, защото предлага квалитетно настаняване и отлично обслужване. Хотелът се намира се на 3.1 km от центъра на града, поради което неговите гостите могат безпроблемно да се наслаждават на всички градски атракции. С удобното си местоположение хотелът предлага лесен достъп до всички градски забележителности, които задължително трябва да се видят. Възползвайте се от богатството на ненадминатите услуги и удобства в Малака. Хотелът е оборудван със съоръжения като Wi-Fi връзка в общите части, паркинг, семейна стая, ресторант, магазини в хотела. Хотелът се характеризира с 11 стилно обзаведени стаи за гости, в някои от които ще намерите килими, климатик, плътни завеси, душ, сушилня за дрехи. Хотелът предоставя най-добрите съоръжения включващи градина, които ще Ви помогнат да отпочинете след активен ден прекаран в града. С превъзходните си удобства и отличното си местоположение My Friends Guest House е идеално място, в което можете да се насладите на престоя си в Малака. Location is good and near to jonker street. Room was small and neat. We almost reached the place but couldnt able to find the exact location of hotel. We called to the reception and front desk guy came to us and took us to the hotel. Suggestable for 1 night stay. if u coming from melacca central i recomended u to use Uber or grab only 5~7 RM. staff so helpfull specially lena and uncle. we laundry our chlotes,cooking and rest so well... the clean hostel i ever stay at melacca. they provide toiletries and bathroom always clean. will comeback again. Love the heritage style of this guesthouse, room was clean with wooden floor and bricks wall. It’s right inside the Hakka Association with ample free parking space. It only took 7 mins walk to the Jonker Street so you’ll save a few bucks for parking! The receptionist girl was sweet and polite, shampoo, soap, towels were provided as well. The only cons was there’s mosquitoes in the room, bring your own mosquito repellant if you’re a mosquito magnet. Would love to stay again. Value for money. The room was clean & comfortable. Walking distance to Jonker Walk. Suitable for those looking for budget stay. Is a Japanese style room, the room is clean and nice. 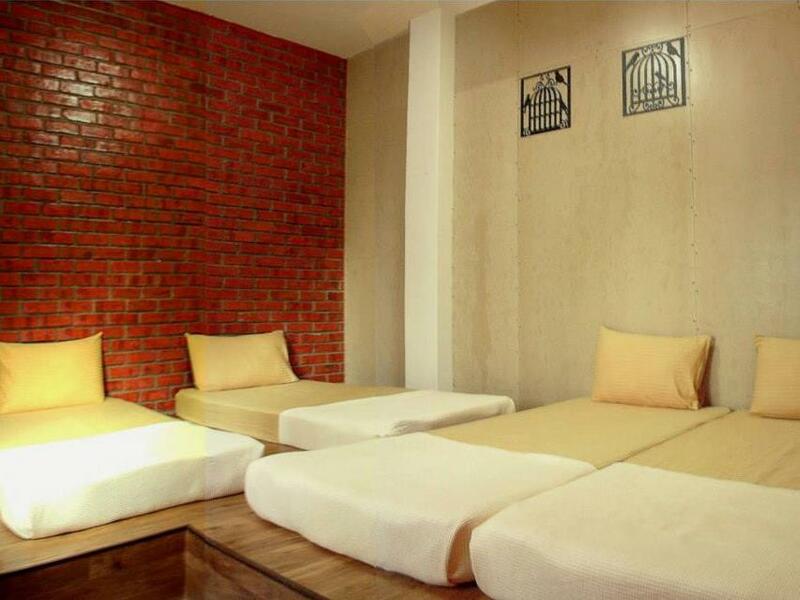 Near to Jonker Walk, with 5-10 minutes walking distance. The only problem is mosquito, need to use the mosquito repellent, other than that is perfect. Stayed here twice, will always stay here whenever i visit malacca as there's ample carpark lots and I don't have to worry my car lost. Jonker street is just across the road, which takes me 5 mins to reach, I don't have to drive over which parking at Jonker is a headache. Many tasty food around this guesthouse as well! It's located in a safe area too! Definitely recommend to anyone who is visiting Malacca. The price for this guesthouse is very very reasonable too! I was traveling with two senior citizens. The guesthouse was exactly what we were looking for: clean bed sheets and toilets; strategic location from Jonker's Walk (10 minutes walk through Jalan Portugis) and good customer service. Word of advice for those driving: you'll likely miss the turning into the guesthouse, despite a visible signage at the entrance. The landmark to watch out for is a secondary school on the same row. Once you spot that, prepare to signal to your left and turn into a narrow driveway. Hope this helps! This is the first time I tried a guest house. 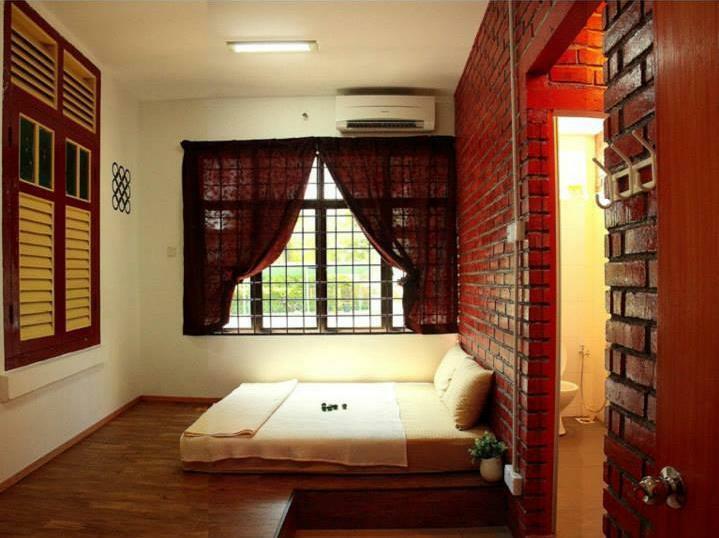 To be frank, this guest house is clean, safe and a walking distant to Jonker street. The good thing about this guest house is you wake up in the morning feeling at home. The air and the surrounding is something different from the hotels I stayed before. It's a good feeling. It's a shared bathroom and you have to be mentally prepared as others are using and sharing the bathroom with you. I definitely will make a come back and stay there. I had the deluxe room with attached bathroom, which I highly recommend. Guest house owners were very kind. Drove me to the coach boarding point when they saw me waiting for a taxi outside the guest house. It was Hari Raya and the locals understood that there would be no taxis. Even rejected my effort to pay something. The hospitality is unforgettable! Absolutely love this place. Because stay in this place just like home to me and my family. Clean, because seeing cleaning uncle will directly clean up the room and change everything and get it all wash up. Guest house is valued for money, walking distance to jonker street (+-5min), easy to locate and they have their own parking lot. For travelers who drove there, you can just leave your car there and walk to nearby attractions. The provided room is just a normal room with individual aircon unit. Bathroom are shared, you can wash your cloths there too but additional charges applied. Walls between rooms are very thin, not ideal for light sleepers. Pro: The room is quite big enough. Clean. The hotel is near to jonker street - 5min walking distance. Cons: There is no fan as a optional - I hate AC You will have uninvited guest - lots of mosquitoes - from the parking area to the room. Overall it was a good stay! Near Jonker Walk, accomodating owner, clean room. The host is very nice. Rooms and bathrooms are so clean. 400m walking to Johnker Walk. I definitely will stay here if back to Melaka next time. Love! Pros: 1) Walking distance to Jonker's Street. 2) Plenty of parkings available. 3) Old school & heritage feel of building structure. Cons: 1) Soundproof of the rooms can be improved. Walking steps noise from outside can wake you up easily if you're a light sleeper. Overall, thumbs up for the owner to keep up a good guest house in this historical state of Malaysia. Booking & payment was for 24/06 to 26/06. 25/06 they check out our room automatically & remove all ours belonging without any inform, calls or acknowledgment. Although It was a great place to stay when travel to Malaka but the uncle's attitude (Boss's brother) has damage the reputation for this guest house. We are the victims on this incident but for the uncle we are the trouble maker, his voice is much higher than ours when we ask for explanation why remove our belonging without our permission.